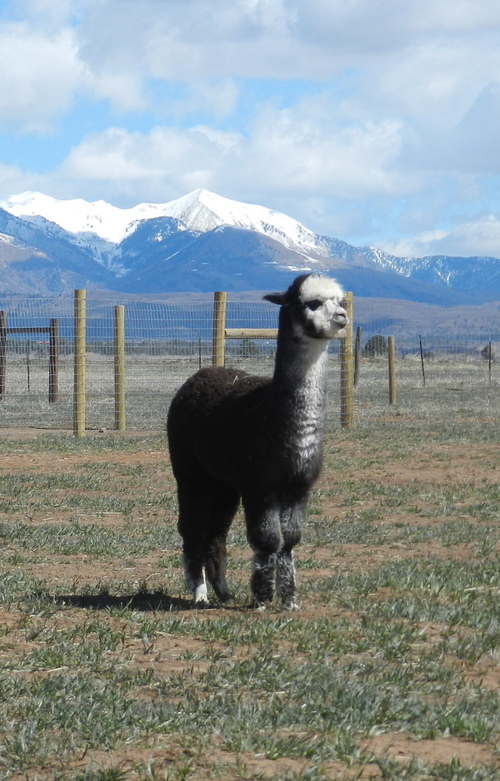 Pleasant Journey Alpacas: Blog: Springing into summer! Whew, time flies by so fast! We have just completed our show season until this coming fall. It has been a whirlwind with lots of traveling. Shows attended this year were National Western Stock Show in Denver, CO; SWRAS in Cottonwood, AZ; TxOLAN in Hamilton, TX; AOA Nationals in Harrisburg, PA; MOPACA in Kansas City, MO and GWAS in Denver, CO. There was even a quick flight to attend the Futurity as well to go to the auction and see friends. We did well this show season with great placing in all shows. PJA Altitude's GreyHawk even earned a Color Champion banner at the National Western Stock Show. He did the happy dance and did we!! We are now getting ready for shearing! What a day this will be with all 40 of our own alpacas plus our boarding alpacas and more to come for the day! All in all we will be shearing more than 75 alpacas. Sore muscles to arrive later that evening! Of course, then the fun of looking at the luscious fleeces and deciding who will be shown in fleece shows, who will be offered for sale and who will be processed for our own use. Cannot wait to get hands into the fleeces! Summer in Durango, CO area is filled with tourists and we plan to get lots of them to visit our ranch this summer. This is a chance for people to do something different with their time here in this beautiful area and visit our ranch and shop the ranch store. This summer is also our first year to be involved in Harvest Host, the unique RVing experience. People that belong to Harvest Hosts as campers are able to come spend a night or two at our ranch free of charge. 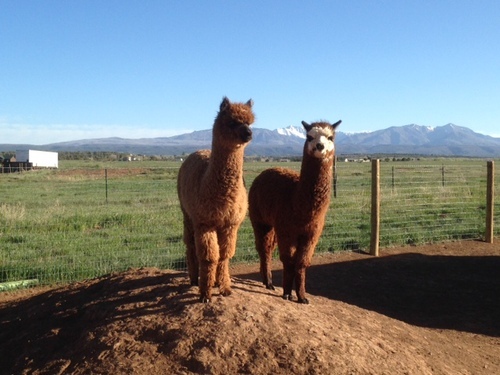 They get to meet the alpacas, shop the ranch store and be as involved as they want to be. We offer a great place to camp right by the barn and alpaca pens. In fact, we have already hosted our first visitors the first week of May! Of course, cria season is creeping up on us soon with our first cria of 2014 due to hit the ground at the end of June. It is always an exciting time but this year is especially so as we will welcome several cria sired by NeverSummer's Manchester. The anticipation of what the herdsire will throw is overwhelming and we cannot wait! 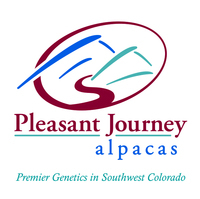 Pleasant Journey Alpacas wishes everyone a wonderful summer!